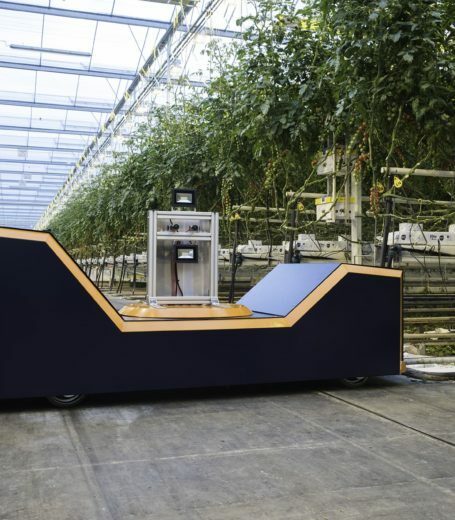 The Plantalyzer is a unique tool for accurately estimating vine tomato crops. 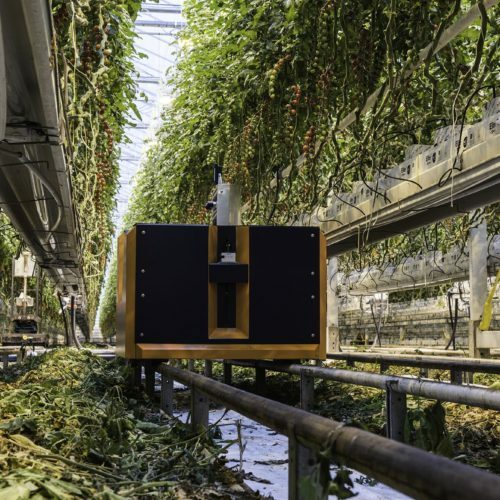 The Plantalyzer counts the supply of vine tomatoes on the plant in the greenhouse and provides reliable information for an accurate estimate of the harvest. The system is developed in close collaboration with Wageningen University & Research (UR) and Berg Hortimotive. This development was made possible by Rabobank. The Plantalyzer measures the bottom two to three, leaf-free, hanging trusses. The system maps the clusters per stem, the number of fruits per truss and the colour of each fruit. That gives insight into numbers with the additional bonus of information on the colour stages. The fruits are assessed with special cameras and software and not by human perception. The robot only evaluates the fruits in the path it is driving in, and that produces an accurate and objective insight into the crop. Linking the information to practical data from the greenhouse reduces the margin of error in the estimate to the minimum. Accurately predicting the harvest allows you to ensure a high level of delivery reliability. That, in turn, allows you to make better price agreements and realize higher profit margins. 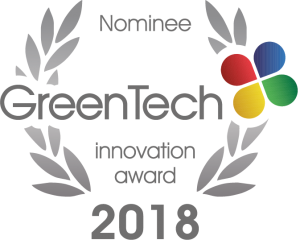 The Plantalyzer is equipped with the Greenhouse Positioning System and BergDrive and therefore moves through the greenhouse completely autonomously. The system automatically drives onto the tube rail from the concrete path, and moves itself from path to path. So there is no need to install any new facilities. Measurements can also run at night, and therefore do not need disrupt other activities. HortiKey believes in strong horticultural chains, with transparent information exchange for maximum efficiency. In doing so, we ensure that professional horticultural companies work more efficiently and safely to ensure the global food supply.